1120 N Lake Shore Dr is a 18-story co-op that was built in 1925 in Chicago's Gold Coast. Amenities at 1120 N Lake Shore include a fitness center, in-unit laundry, and a doorman. 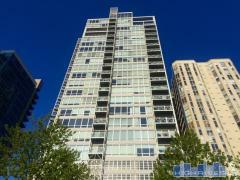 Have any comments or questions about 1120 N Lake Shore Dr? Ask your question and/or share your thoughts about this Building.